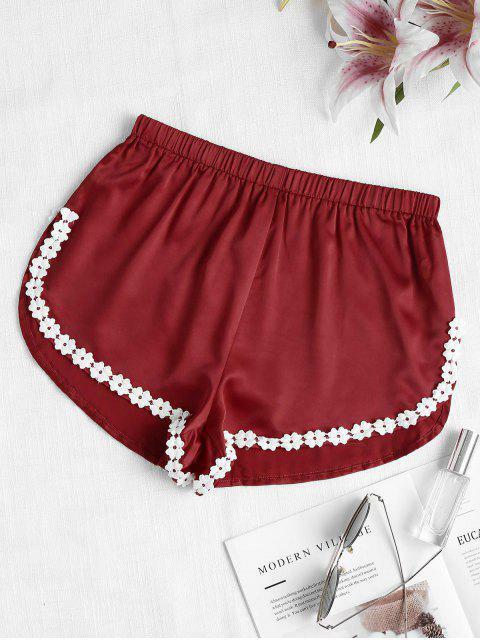 [40% OFF] 2019 Lacework High Slit Shorts In RED WINE | ZAFUL .. 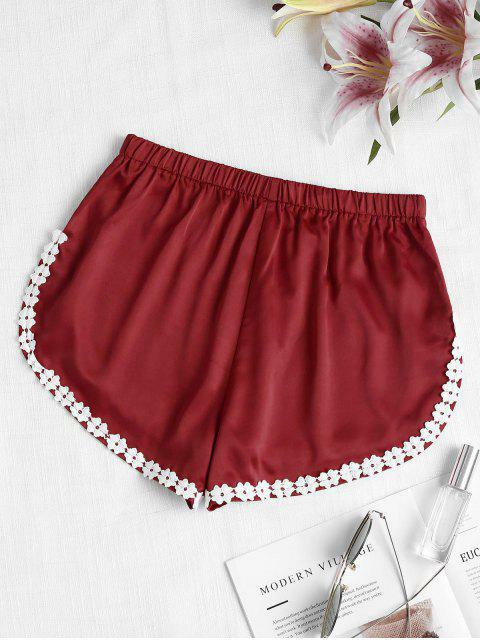 In a relaxed and loose fit, this pair of plain shorts features a flattering high waistline with an elastic style, delicate floral lacework, and flirty high slit detailing at both sides. 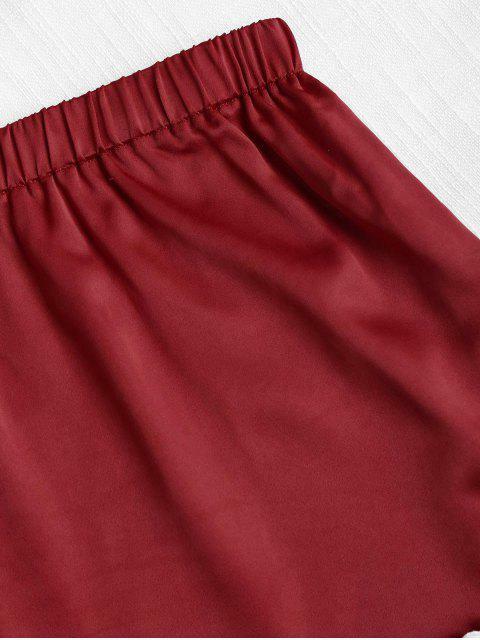 The glossy satin fabric gives a shiny feel.